Slavoj Žižek is an ethical monster that with hidden empathy does what it should be done in a paradoxical coincidence of creative spontaneity and reflexive distance, by helping others and avoiding attachment to their proximity at the same time. From the point of view of Spirituality, the world would be a better place if the religious sentimentalism would remain replaced by the cruel and cold passion that Žižek demonstrates. Maitriyana analyzes the Slavoj Žižek thought in relation to the analytical existential and libertarian concepts from the Buddhist Spirituality of Siddhartha Gautama, establishing two lines of thought within the metaphilosophy of Žižek: the first linked to Psychoanalysis and the second connected to Socialism. This allows establishment of the dialectical-paradoxical synthesis inherent to the articulation Gautama-Žižek, simplifying the assumption of his theories within the revolutionary aspect of Buddhist Existentialism. There is a close relationship between Gautama and Žižek, while Buddhist concepts explicitly or implicitly operate in metaphilosophical proposals as may be perceived by the apprentice in the development of his existential meditation. Within this analytical-existential framework, the Maitriyana may pose the following hypothesis: the assumption of Žižek of the Buddhist concepts of Emptiness (the Real), language (the symbolic) and illusion (the imaginary) involves a dialectical-paradoxical synthesis along with a theoretical and epistemological resolution overriding any possibility of evaluating his thought as confrontational to the Spirituality founded by Gautama. To demonstrate this hypothesis, the Free and Enlightened Being (Arhat-Bodhisattva) uses the concepts of Psychoanalysis to characterize the main theoretical and epistemological axes of the metaphilosophical thought, establishing the existing relations between Gautama and Žižek as a means to determine the dialectical and paradoxical points of the Buddhist Existentialism approach. Thus, the Spiritual Master Discourse indicates the analytical existential and libertarian elements, of the theoretical and epistemological thought from Žižek that make it impossible to assume his approach as a confrontational thought towards Buddhist Spirituality. Free and Enlightened Being (Arhat-Bodhisattva) indicates that despite the apparent conflicts among the different traditions of thought, underlies a perennial philosophical substratum from which derives the articulation Gautama-Žižek and the postmodern context of Maitriyana in its search of the Dynamic Ground of Truth, which is the Emptiness of Being, both in the epistemological as in the anthropological and social. In this regard, the proposal of the Buddhist Existentialism is to empty the subject from any ideology related to the concept of an identity separate that is centred on the Ego. In the analytical-existential framework of the Gautama-Žižek articulation, the relationship between Maitriyana and post modernity is mediated by the coincidence of an epistemic argument, which is part of what Buddhist Existentialism described as Postmodern Spirituality, where is produced the overcoming (aufhebung) of the Ego and becomes the empty centre of the Self, which is the visible and intelligible place of knowledge. The empty centre of Being is the only universal concept that the spiritual master hosts, understanding it as an epistemic and epistemological value that supposes a transpersonal cognitive system beyond the particular Ego, since it turns the Totality into something momentarily apprehensible. The psychism of the ordinary subjectivity has been created on an internal perception and self-representation of a complete entity and whose symbol is a displacement in the gaze of otherness. The dimension of the illusory (imaginary) is where the mind forms an Ego characterized by a unified and ideal image, which is closely related to the figure of the Other (Atman). The only school of thought that accepts the nonexistence of the Other (Atman) is the Buddhist Spirituality and Spiritual Psychoanalysis. The Buddhist Existentialism Ethics propels the humanity to breaking through the fantasy, overcoming the illusions of the mind by confronting the emptiness which underlies the object of the Desire. In accordance with Spiritual Psychoanalysis, the Buddhist Way insists that the Ego is a fiction, because there is no substantial entity in psychic life. The Ego is a fetishist illusion that is positioned as centre of the subjectivity, when in fact there is only Nothingness. It is due to this that the True Self is precisely the perception that the Ego is an impostor or an illusion. Within the perspective of the Gautama-Žižek articulation, the imaginary is the illusory for being an ideal condition which involves a supposed integrity on the Ego (moi). Regarding the dimension of language, it comes to the introjection of symbolic and social normative, nullifying a portion of reality by introducing the subjectivity inside a world of words and a place of codes. About the Emptiness, it is nothing more than the space where the process of the representation fails, since what it does not reach the symbolic appears in the light of the Real, which is a hidden and inaccessible Truth to the ordinary mind for refusing to the symbolization and dualistic language encoding. Emptiness is external to the apprentice due to not being codified, which also implies that the symbolized word opposes the True Discourse, breaking the unity between thought and the reality of the Being. For Maitriyana, the language (the symbolic) is a play on words and socializing elements disconnected of the meaning, since the symbolization acts as an act of repression (Verdrängung) of the sense of the Real, which not-wait nothing of the word for being an empty set impossible to be fully codified. Given that everything that is codified is symbolic, when the Free and Enlightened Being (Arhat-Bodhisattva) apprehends the Real, makes it operational within the existential meditative action processes, which is concordant with the ineffable nature of the mystical. This means that Emptiness is impenetrable by the dualistic logic and the ordinary language of the Social Discourse, but can be better approached -but not completely- by the dialectical paradoxical logic and the poetic language of the analytical existential Discourse of Spirituality. Whereas in the perspective of the Socialism it is possible to define indigence as the Real of the capitalist Discourse, to Buddhist Existentialism it would be the oppression that Freedom suffers, for that is repressed or denied by the materialistic political sphere. Although the revolutionary ideas of the Gautama-Žižek articulation are the product of socializations or alternating Discourses, the socialist vision of a change in the world is also symbolic, though it certainly operates within an epistemological vision in consonance with the experience of Spirituality, Emptiness and Liberation. This clearly shows that there is a relation between the dimensions of the Real (for-itself), the Symbolic (for-others) and the imaginary (in-itself), like Sartre and Lacan were able to perceive. In other words, Emptiness is not an essence, but rather is an aperture (Sunyata) of the Self to a Project (Dharma), which is a not-in-itself and a not-for-others. Within this conceptual framework of Maitriyana, the Awakening (Bodhi) occurs when these three levels operate harmoniously in pursuit of wisdom and Love. The thought of Buddhist Existentialism is very complicated, both in the theoretical and the practical aspect. The conjunction of elements of the Psychoanalysis and Socialism obscures the Discourse of the Gautama-Žižek articulation, which establishes a critical thought within dialectically synthesized lines, as both many times appear discernible and other times inseparable. To access to Maitriyana the apprentice has to undertake an existential analysis about the phenomenon of the vicious circle of suffering, understanding that unconscious attachment (jouissance) to frustration is encouraged by intersubjective ideological practices of dominant social Discourse, that through fantasies become parts of the structured network of the symbolic level of the psychism. In this way, Buddhist Existentialism makes evidence that the Phantom (Maya) which appears on the jouissance is assumed by the subject as a sociability factor that covers or supplements culture failures, giving coherence and unity to social Discourse by means of masochists illusions that nullify the lack of Being and the inability to satisfy the incompleteness through the Desire. Within the dynamics of Gautama-Žižek articulation, unconscious attachment or jouissance is explicitly the bridge tending to the symbolic death of the Self, while social Discourse creates a neurotic hedonism which combines pleasure with repression, contradictorily considering the cause of suffering -attachment (tanha) – as the medicine of its Cure (Nirvana). Thus, punishment and guilt are inserted at the place of pleasure, disturbing the mind through a symbolic slow and painful death. Therefore, the symbolic order establishes a field for repression of Being, being an object of existential meditation on which the spiritual master poses his revolutionary social criticism. The social criticism of the Maitriyana is debated between the psychoanalytical influence and certain survival of the existentialist-socialist idea, propounding the construction of a metaphilosophical and metapolitical movement, at a transnational level to counteract the global Dominion of the capitalist institutions. Thus, the Free and Enlightened Being (Arhat-Bodhisattva) proposes a possible form of pacifist struggle which allows transcending both nationalism and globalization, yielding to the Ethical Discourse of Perennial Wisdom. In this sense, Buddhist Existentialism becomes detached from the fantasy (maya) of national revolutions at the same time that it disbelieves in multiculturalism, updating the ideas of Spirituality to function as a revolution of the current world system, dominated by the massive presence of capitalist Discourse, which has begun its decline from 2001 by assuming the features of colonial imperialism. Postmodernity has its centre of reflection on the epistemological basis of Freedom, while modernism is displaced from the meaning of the thing and from subject to object. Instead, it is crucial for Buddhist Spirituality to pass from object to subject, perceiving the cause of suffering, and then introduce a change inside the mind itself, through the Detachment which transforms the mode and the attitude of the apprentice towards life. This twist is a Liberation that entails a great suffering, because it is a violent experience in which the subject loses the fantasy (Maya) that underlies the everyday life. However, this privation which represents the experience of Emptiness is not a constant experience, while for Buddhist Spirituality -like Spiritual Psychoanalysis- after the Awakening (Bodhi) the Veil returns again, and that is why the great sages affirm that Nirvana is Samsara, namely the Cure is Everydayness. The subjective destitution is a psychoanalytic form to find peace, at the same time that opens the mind to the construction of a new fantasy nourished by spiritual values and emptied of all selfishness or unconscious masochism. In accordance with the Spiritual Psychoanalysis, the final stage of the contemplative process is the subjective destitution by which the apprentice transpersonalizes, overthrowing the Ego as the centre of the consciousness, which is an analytical existential conversion of Being. The subject who self-realizes assumes the inexistence of the Great Other (Anatman), fully accepting the Real by means of an aperture in the symbolization. The price to pay is to annul the Dominion of the Ego, transpersonalizing the apprentice within a state that transcends the double reflection of both subject and object. Precisely when it is arrived at the Cure (Nirvana) is accepting the lack of substantial identity (Anatman), demonstrating that the Awakened Being (Buddha) is an authentic position. The main critical lesson of the spiritual master towards Capitalism is that it is a shadow theatre with insubstantial virtual entities, thus one is taught to retire from the capitalist game through an internal distance, which implies the Sublimation (Nirodh) of greed, hatred and ignorance, as forces that move the world of the materialistic oppression. Conformably, the Gautama-Žižek articulation proposes to definitely resolve the dispute amongst the different social classes, which has grown to a planetary level through intercultural antagonisms. The Postmodern Spirituality of Maitriyana discusses not only the redistribution of wealth, but also embraces the identity conflicts promoted by consumerist societies, since the Free and Enlightened Being (Arhat-Bodhisattva) considers solidarity and compassion as means to overcome the differences and the problematic issue of intolerance towards neighbour. Buddhist Existentialism is presented in a very revolutionary way, due to that the symbolic order of social imperative is perceived as the repressing element of Freedom both of Being as well as peoples. The Gautama-Žižek articulation is a thought of the Real, so it establishes a criticism of the imaginary level of the mind, which is a product of the Emptiness. There is a lack in the apprentice, a lost experience that is the object of the Desire, being a traumatic experience because it represents the fracture or absence of completeness by the acquisition of language during the socialization process of the Ego. Consequently, the traumatic Real is the cause and goal of the subject, being never completely achieved by the symbolic nor by the imaginary, which implies that the formation of the Ego is originated from an existential alienation. The contemplative action -understood as practice of existential meditation- retrieves a direct contact of the apprentice with the Emptiness, which is a transpersonal experience between the subject and the object of the Desire. This means that the Discourse of the Spiritual Master goes towards the traumatic Real and not towards the mere mundane reality of ideologies. The Maitriyana advocates for a transnational movement that seeks the transformation of humanity, by addressing the symbolic alienation by means of the model of the Free and Enlightened Being (Arhat-Bodhisattva) and its Reconciliation (Maitri) with the emptiness or the excision of the mind. Thus, the spiritual master makes reference to a possible analytical-existential Discourse capable of making insubstantial the symbolic order and subjectivity itself, at the same time that impulses the Liberation and the Awakening (Bodhi) of the repressed Self. Then, only the existential meditation is presented as the appropriate means to transcend (aufheben) the mundane reality and go for the searching of the unknowable Real. From the internal perspective of the own Buddhist Existentialism theory, the panorama seems very encouraging, but only if it is the dialectical and paradoxical position of the postmodern spiritual thought. The achievement of the Gautama-Žižek articulation approach lies in its vision of the apprentice as epistemologically psychoanalytic and phenomenological. In accordance with Derrida, for the Maitriyana there is no subject or object, since both are linguistic constructions, being illusory separations of an interrelated dialectical reality where there is neither an object of knowledge nor cognizing subject, just having an imaginary Ego. Thus, the relationship between thought and Being fades in order to the apprentice accesses to a process of Being and non-thought within the existential analysis. In Buddhist Existentialism thought, the mind is a symbolic ideation, so in order to be the bearer of the social transformation; the subject must first be transformed on the inside. Only through the existential meditation it is possible to overcome (aufheben) the establishment. The Gautama-Žižek theoretical articulation also has its corollary to a methodological and epistemological level: the dialectical-paradoxical logic, Spiritual Psychoanalysis and the socialist criticism of the ideology. These three lines imply a relationship of search for the Truth, phenomenologically traversing the reality of false thought. Therefore, the Free and Enlightened Being (Arhat-Bodhisattva) performs a criticism of ideology, always pointing to the truth of the situation that is the pure contemplation of the here and now. The synthesis amongst Spiritual Psychoanalysis, Existential Phenomenology and Libertarian Socialism is a discursive proposal which only can lead the apprentice of Maitriyana to the self-enlightenment, becoming a spiritual master, which entails the approaching of counterproposals against dominant symbolic order; as advocating a global revolutionary movement that attempts to create an alternative to the hegemonic fictions from capitalist market. The Free and Enlightened Being (Arhat-Bodhisattva) considers the Truth as the particular contingent encounter that is repressed by the universal field of the materialistic falsity. Then, according to the spiritual master, the only space is the happening of the Liberation of Being (Ereignis), Awakening (Bodhi), from which a global movement of postmodern politics can be founded. The historical experience, according to Buddhist Existentialism, demonstrates that metaphysical ideology generates totalitarian and catastrophic social consequences, as part of the noxious and rigid fantasy of the substantial Ego and not of the Real of Nothing-in-Being. The Gautama-Žižek articulation posits that the task of existential analysis and social criticism is to discern the hidden process which sustains all the political or non-political relations. The attainment of this methodological metaphilosophical condition is that it assumes traditional politics as imaginary, while the people are the symbolic and the transformation is the Real. The Maitriyana understands that Postmodern Spirituality is the Cure (Nirvana) of the evil of the ideological schemes of globalization and neoliberal capitalism, proposing a Real and True Socialism capable of resolving the multiculturalist problematic issue of intolerance for others. Buddhist Existentialism Thought establishes an epistemological crossing where the value of the particular and that of the dialectic coexist. From this epistemological crossing is where theoretical synthesis is derived, that the Gautama-Žižek articulation experiences from its subversive position. However, the Free and Enlightened Being (Arhat-Bodhisattva) does not pose any kind of unattainable utopia, as is the case of the metaphysical a priori and its social consequence of totalitarianism, instead proposing an action for the here and now, starting from the Awakening (Bodhi) of the Self to become then as a transnational political movement capable of representing the various currents of the left -like environmentalism, Marxism, feminism, and the theology of liberation- under the flag of spiritual Socialism. The Spiritual Master Discourse is a confluence of the particular and the universal, while the analytical-existential practice of Maitriyana starts from the concrete and particular to later be raised to the elaboration of a universal theoretical knowledge which finally dialectically returns to the concrete in order to transform the reality. This does not imply that Spirituality is a Discourse that intends to be outside the social symbolic order, but rather it involves the mark of being a new symbolic order where the subject can establish his own ethical judgments without the mediation of the cultural. This is the existential meditation space and the analytical derepression. Within the context of Buddhist Existentialism it is indispensable to create new theoretical bodies allowing the access to a category of contemplative thought capable of evanescing the rigid identification of the apprentice with the metaphysical or materialistic ideology. The Free and Enlightened Being (Arhat-Bodhisattva) teaches a meta-thought and simultaneously shows the Way towards the creation of a movement that surpasses the oppressive capitalist political-economic scheme. Gautama-Žižek articulation assumes a series of revolutionary syntheses which are the product of an existential analysis, showing that the dualistic social reality is completely an imaginary construction and that it can be transformed by a most peaceful, equalitarian, cultured and ecological condition. These syntheses in the Maitriyana Discourse respond to the supra-ideological perspective proper to Postmodern Spirituality. The absence of a universal foundation, proper to the idea of Emptiness of Buddhist Existentialism, avoids the possibility of creating a metaphysical concept of a general character, at the same time that eliminates the value of nihilism, by accessing to a post-utopian and centred on the present revolutionary action, which is the metapolitical strategy of the postmodern spiritual paradigm. The Gautama-Žižek articulation is linked with Spiritual Psychoanalysis in a successful form because it assumes a revolutionary epistemological paradigm which makes possible the action of the Real from bottom to top. This is where the spiritual master is allied with Libertarian Socialism, avoiding any possibility of incurring in totalitarianism. Therefore, all that remains standing in the Maitriyana is a pure analytic-existential-libertarian Discourse (Buddha-Dharma-Sangha) passing through all the illusions of ideology to establish a Real transformation of the materialistic reason. The assumption of all these existentialists Buddhist ideas entails a theoretical and epistemological synthesis to the Gautama-Žižek articulation, which nullifies any possibility of evaluating the Spirituality as a non-confrontational thought of capitalist Power. The Maitriyana is the most dangerous metaphilosophical thought of history, both West and East, performing a countercultural theory about the academic world, at the same time that inspires the creation of a new left politics with a messianic style. Gautama-Žižek articulation helps this Spiritual Discourse, by producing ideas of interrelated fields, from psychoanalysis to Socialism, that erode the limitations of materialistic academic Discourse and show a way out to the crossroads of the global capitalist crisis. Buddhist Existentialism is served from philosophy and ethics to produce a detached thought from religion, ideologies and economic corporations, since it worries about issues such as ecology, poverty and alternative realities. What makes Maitriyana virtuous is its ability to transform twentieth century movements in an integral though, the same time that is proclaimed a new theory of Freedom and Wellbeing. The spiritual master captures the opportunity for change that revolves around these analytical existential remarks that show how the fictions which structure human reality and brings near the peoples towards a global crisis of a political, economical, cultural and environmental nature. The world is desirous to hear a Metaphilosophy which thinks deeply about global problems of war, poverty, ignorance and pollution. Therefore, the Buddhist Existentialism stands ready to offer new approaches and clear solutions to the conflicts that humanity suffers. This Purpose (Dharma) is what makes so attractive the ideas of the Gautama-Žižek articulation. In contrast to academic philosophers, the writing and the speaking of the Free and Enlightened Being (Arhat-Bodhisattva) essentially arises from the approach of the existential meditation about the thought and Spiritual Discourse, this being another of the reasons why it causes so much attraction reading or listening to the teachings of the spiritual master, whose process of communication of ideas is highly indicative of his direct approach of the Real. This analytical existential method preserves spontaneity of thought, simultaneously reflecting the wellness that produces and exposes revolutionary ideas. The apprentice who does not support the orthodox cultural vision and who is in conflict with the authorities often dives into existential meditation works, whose ideas find the approval of Socialism. Accordingly, from the materialistic academic point of view, Psychoanalysis is particularly suspicious because it addresses making a transformation of the mind that not only generates Awakening (Bodhi) of Being but also tends to generate a subject detached from the dominant political Power. Thus, the metaphilosophical project of Maitriyana is the evolution of a reconciliation and integration of Psychoanalysis and Socialism. The investigation of Buddhist Existentialism generates then restlessness and suspicions in the spaces of academic knowledge, by never ceding to cultural pressures of the time, because it is essentially a revolutionary work that explores the idea of Freedom in every moment and place. The final Purpose (Dharma) of the Gautama-Žižek articulation is the Cure (Nirvana) of humanity, demonstrating that it is possible to generate a superior and amplified state of consciousness (S-ASC) with respect to normal. The Free and Enlightened Being (Arhat-Bodhisattva), by means of a highly attractive and affable character, states that capitalist civilization has discarded too soon the possibility of the socialist era, showing to the Western and Eastern public, that the Real is perceived from the position of dialectical-paradoxical knowledge. The provocative and revolutionary aspect of Maitriyana is balanced by a surprisingly and vast knowledge of psychology, philosophy and politics, at the same time it also presents the spiritual master as a superhuman that has evolved his mind through radical ideas. Despite that, the humility of the Free and Enlightened Being (Arhat-Bodhisattva) protrudes with respect to his polemical thoughts, therefore avoids the dispute and open confrontation, creating an analytical existential space of aperture (Sunyata) in which the apprentice can discover his Self and simultaneously decide about his ethical and social responsibilities. The theories of Buddhist Existentialism take care of metaphilosophy in the first place, but also explored a wide range of topics and interests coming from psychology, politics and science. This exploration not only seeks Evanescence (Nirvana) of ideologies, but also aims to achieve a greater interest in Spirituality through the analysis of these themes. In contrast to academic philosophy, the Gautama-Žižek articulation seeks the reestablishment of the idea of Truth, thus transcending the attitude of the most recent philosophical and intellectual currents. Without falling into the fields of metaphysics, the spiritual master abandons all nihilistic and neoliberal ideas that consider that spiritual values and Truth as entirely relative and partial issues. Contrary to belief systems, the Maitriyana clings with ethical sureness to the notion of Truth, despite the fact that capitalist civilization has converted it into a suspicious idea. In an era dominated by the opposite ends of scepticism and religiosity, Buddhist Existentialism insists that metaphilosophy is capable of reaching the Truth of the Self. The articulation Gautama-Žižek does not understand the idea of Truth in a metaphysical way, as traditionally it has done the academic philosophy through universal laws and principles that govern the thought and meaning of life. Instead, what Maitriyana calls Truth is an analytical existential understanding of power relations that controls society through ideologies that alienate the peoples and impede carrying out Liberation and Awakening (Bodhi) both personal and social. Essentially, the Buddhist Existentialism is a metaphilosophy committed to political analysis of the Real, intervening in the capitalist Discourse with the conviction that Spirituality can transform the ideas of humanity and help to change the world. Obviously, this revolutionary Way towards Freedom of the subject and society has many obstacles, while the human beings consider the dualistic language and materialistic logic as the Natural Order without being aware that these are nothing more than tools of symbolic communication. Conformably, the Gautama-Žižek articulation understands the ideology as the way in which the fiction of the identity of the Ego is constructed through the symbolic order of language. To understand the various forms in which this phenomenon manifests itself in the capitalist Discourse, the Maitriyana considers that it is necessary to refer to the metaphilosophical keys of Psychoanalysis and Socialism. For Buddhist Existentialism, these two movements share the concept that completeness is impossible to achieve. While the Master Marx applied this idea to the avidity (tanha) of capitalism, meanwhile, Master Lacan did the same in relation to the structure of the Desire. From the Gautama-Žižek articulation, the apprentice can understand that the subject is formed from economic and linguistic bonds. The Free and Enlightened Being (Arhat-Bodhisattva) clearly perceives that the two great traditions of Psychoanalysis and Socialism are current and that they are relevant to the present postmodern society. The reasons for this are the impossibility of negating both the existence of the unconscious and the inevitability of the decline of capitalist civilization. But it is also important the postulate of Maitriyana that Power relations are fundamentally a question of materialistic ideology. Popular mythology tends to understand existential meditation as a sort of rewarding pastime or a form of escape reserved for the bourgeoisie and the aristocracy. In this way the Buddhist Existentialism clarifies that its obsession with Freedom is a practice that really works, producing the Cure (Nirvana) of all fictionalization of the mind. The Gautama-Žižek articulation considers that Psychoanalysis and Socialism are revitalizing and relevant practices to deal with the concerns of life, since these disciplines make possible the peak comprehension (Satori) that ideology represses Freedom. The Maitriyana markedly differs from academic philosophy, which is incapable of breaking the ivory tower of the paradoxical and deconstructionist ideas of Buddhist Existentialism. In this regard, the spiritual master performs a deconstructionist critique about the merely intellectual studies that lack an existential analytic practice. According to Gautama- Žižek articulation, the process of deconstruction is especially associated with the meta-thought from existential meditation. This is because, according to Derrida, the Free and Enlightened Being (Arhat-Bodhisattva) argues that meanings are essentially dialectical and paradoxical, because they are not stable or fixed. Given the empty nature of the mind, all that was thought, said or written always leaves something unsaid and even repressed. The words are nothing but an illusory division of the Totality of the Real, so that the meaning is endlessly deferred by the force of repetition (karma) may not ever be reached in a definitive and complete way because it functions as a systemic anomaly within the chain of language. However, the Maitriyana considers that without the utilization of poetic language and dialectical-paradoxical logic, all language analysis does not lead to existential analytic deconstruction, but rather to a bourgeois, academic and away from the social world activity, that affects life of the human being. Thus the Buddhist Existentialism also is located in aligning with Bertolt Brecht, affirming that for the apprentice nothing should be more important than thinking spontaneously, since the abrupt thought is the thought of the great spiritual masters. For the Gautama-Žižek articulation the abrupt thought means a kind of direct and concise thought, being an epic art which has the capacity to Awakening (Bodhi) the subject to the Truth, by discovering the ideological conditions of the social dualism. This didactic approach is libertarian and similar to the metaphilosophical thought. The metaphilosophical ideas of Maitriyana have a revolutionary style, therefore this movement of Contemporary Spirituality is self-declared socialist. However, Buddhist Existentialism dissociates its ideas from the doctrine of totalitarian regimes, which have failed by misinterpreting the work of Marx. The Free and Enlightened Being (Arhat-Bodhisattva) teaches then that to produce the Cure (Nirvana) of the suffering of the peoples it is necessary a pacifist and compassionate capacity within the cause of political liberation of the revolutionary movements. In addition to its interest in the work of Karl Marx, the Gautama-Žižek articulation reveals that the original semantic meaning of the word communism derives from the word commune (Sangha), which implies that the Spirituality founded by Siddhartha Gautama is the metapolitical revolutionary movement more ancient of humanity. For 2600 years, the commune (sangha) has been maintained as a pillar of the existential meditation practice of the spiritual masters, referring to the idea of a common place where the comrades-of-Way can dwell in an egalitarian way. This implies that the Free and Enlightened Beings (Arhats-Bodhisattvas) have been victorious in the historical struggle for human rights. While authoritarian regimes have failed against capitalist civilization, Buddhist Existentialism believes that the term communism, if it is understood in its original spiritual dimensions, still has a profound relevance to developing a libertarian politics in the present. The Gautama-Žižek articulation cares then for the common cause of the emancipation of humanity, which is performed through a revolution within three areas: psychology, philosophy and politics. That is why the Buddhist Existentialism is allied with Psychoanalysis and Socialism to position the Perennial Spiritual Discourse of Maitriyana. The Gautama-Žižek articulation is developed by analyzing the inner world of the Being and the Nothingness, the intermediate world of language and ideas and the external world of society and nature. The approach that the spiritual master performs about the political struggle starts with his own analytical existential background, maintaining the belief that it is possible to produce a political change or social Awakening (Bodhi) through the adoption of measures which arise from existential meditation. The apprentice has to develop a special understanding of how the nature of Power produces repression of the True Self. The metaphilosophy of Maitriyana analyzes the social conflicts and ideological forms of repression which generates the capitalist Discourse, especially being critical and countercultural with respect to the predominance of neoliberalism and its lack of ethics against poverty and social injustice. But Buddhist Existentialism warns that materialism not only represses the society, but also represses the subject through the internationalization of the morality of the superego. The Gautama-Žižek articulation also identifies pollution as one of the major ills of the world therefore the peoples should resolve this global crisis by means of the radical remedy of Ecological Spirituality proposed by the Free and Enlightened Being (Arhat-Bodhisattva). Maitriyana teaches that it is completely fundamental a different way of thinking about nature, evanescing the prevailing ideas of capitalist civilization which reduce the life to an object of consumption. Therefore, Buddhist Existentialism declares that consumerism is the new opium of the masses which replaces religion. The spiritual master argues that materialist ideology governs the ideas of humanity over nature, considering it only as a source of profit. Instead, the Free and Enlightened Being (Arhat-Bodhisattva) perceives Mother Earth as a superorganism within which capitalist civilization produces similar perturbations to cancer. For Gautama-Žižek articulation, although humanity is not causing global warming, which is due mainly to the Sun, certainly it does not act in a responsible manner within the Biosphere. In this way, Maitriyana considers that societies should allow the unfolding of the balance mechanism of the Earth (Gaia), because otherwise nature will behave as it has done so for millions of years, learning and evolving by means of catastrophes and destruction. Buddhist Existentialism clearly understood that the planetary ecological crisis is due to the sense of alienation of being-in-the-world. Ergo, the right reaction facing the global ecological crisis should not be to find a way back to pre-industrial civilization, but rather to confront the true existential dimension of the crisis, completely assuming the experience of radical contingency which involves an imperfect, impermanent and insubstantial Universe. The Gautama-Žižek articulation poses then that this analytical existential practice is the best form to prepare the mind for a life of socialist equilibrium with the Earth (Gaia). In the Maitriyana perspective, the lesson that the apprentice should consider with respect to the global ecological crisis is that it is necessary the Detachment from all materialistic ideas about the Cosmos. Despite the fact that humanity cannot return to the lost natural equilibrium, if it ever existed, Buddhist Existentialism shows an ethical Way against the contingency of life. The Gautama-Žižek articulation offers to the subject the experience of the ecological crisis as an unconcealment of the lack of meaning of the capitalist civilization. This comprehension of the emptiness of existence is important because it allows transcending any materialistic or metaphysical idea about life, at the same time it confronts the becoming in a more open manner. The Maitriyana recognizes that its vision of the universe is dark. For Buddhist Existentialism the Cosmos is a great Void (Sunya), since even the Being is a Nothingness. Every fragment of matter is no more than a bubble that disappears. As for the question of the origin of the Universe, the Gautama-Žižek articulation agrees with contemporary physics, affirming that reality is an emptiness full of possibilities. The particular in this regard, arises when the absolute Void is disturbed. At the same time, the spiritual master interprets the big bang thesis as the happening of a cosmic catastrophe, while the creation of the Cosmos was probably due to the collision of two preceding parallel universes. This metaphilosophical interpretation is fully prepared to encompass a sense of contingency, fitting very well with the String theory itself. Despite this dark vision, Maitriyana is not nihilistic, but it is an activist movement which considers that the most appropriate way to confront the ecological crisis is by means of a contact with the Real, being a task which does not belong to traditional politics but to existential meditation. For Buddhist Existentialism cannot be trusted to the traditional politicians, because their states of consciousness are ordinary, managing the peoples in ways that are consistent with the perverse interests of the capitalist Discourse. Thus, the Gautama-Žižek articulation believes that the difficulties of the contemporary world demand revolutionary measures on behalf of the common good, peacefully and ethically fighting against the merciless forces of materialism that deepen the personal, social and ecological crisis. Starting this Purpose (Dharma), the Maitriyana has charted an analytical existential manifesto for the Earth (Gaia) that audaciously synthesizes the four pillars in a vigorous program of collective change and libertarian political action. In this way, the Free and Enlightened Being (Arhat-Bodhisattva) demands that the world immediately resolve the problems of war, poverty, ignorance and pollution through the spiritual values of pacifism, social equality, education and ecology. Always respecting the intrinsic Freedom of every human and people, Buddhist Existentialism seeks the spontaneous deployment of world collective decisions capable of counteracting the dualistic logic of materialistic development to stop the course of capitalist civilization which runs towards the precipice of global catastrophe. This implies that the Gautama-Žižek articulation has a great confidence or hope that the large majority of humanity shall support the implementation of measures willing to cure the ills of the world. But just as nihilistic and materialistic ideas about the nature and the Earth (Gaia) contribute to the global ecological crisis, also religious and metaphysical ideas inhibit the eradication of world poverty, while that Discourse expels the mind of the importance and sacredness that is the here and now. Thereby, both economic multinational corporations as religious organizations expel the apprentice from the experience of the present through illusions that impede saving the poor and the planet Earth (Gaia) itself. The Maitriyana recognizes that the main form of revolutionary opposition is through the reaction of the existential meditation against social inequalities. Spirituality affirms that every human being is equal, since anyone can reach the Awakening (Bodhi). However, there are many different ways and methods to achieve the Cure (Nirvana), as they depend on the ability or characteristic of each subject. Some Paths do not serve with some people, but there is always an alternative method which can lead to the state of the Free and Enlightened Being (Arhat-Bodhisattva). It is especially due to the contemporary spiritual masters, in their socially engaged function of awareness of global issues, which the bourgeois and aristocrats classes are gradually beginning to act against the global ills of poverty and social injustice. It is exactly at this point of a growing awareness about inequality and hunger that Buddhist Existentialism identifies as wrong or regressive to the anticapitalist tendency, because the Spiritual Master Discourse overcomes the opposing poles of capitalism and anti-capitalism, by proposing Socialism as post-capitalist era where the Sublimated Desire to do something for others and for the natural environment will be predominant. In accordance with Lacan, Buddhist Spirituality is unlike any metaphysical escape, being rather an analytical-existential suspension of attachments to the psychic reality of the Ego, maintaining a radical Freedom which surpasses the dualisms of the existence. However, in psychoanalytic terms, the mystical act is exactly the opposite of infantile regression of the prepersonal, because actually it is a transpersonal peace that overcomes any pathological election of the subject. Just like Spiritual Psychoanalysis, the mystical act is exactly an expression of the metapsychological Cure, which in terms of Buddhist Spirituality is defined as the Awakening (Bodhi), Reconciliation (Maitri) with the repressed Emptiness. This state of transpersonal consciousness of Compassion and Wisdom is that of the Free and Enlightened Being (Arhat-Bodhisattva), which is positioned beyond good and evil whereas it is inserted as an agent of change and transformation within an illusory and malignant world. This is how the Spiritual Love, which is the wise compassion, is the transcendent source of Good and Evil. This perspective of Compassionate Love is included in the practice of analytical existential contemplation. According to the teachings of the Free and Enlightened Being (Arhat-Bodhisattva), each time an existential meditation is performed, the subject is acquiring an ethical experience of Engagement to life. The objective of the Gautama-Žižek articulation is then to generate an Ethical Cure (Nirvana) from the disease which implies the capitalist commerce, building in this way libertarian communities around the world. According to Maitriyana, this combination of Socialism with an analytical existential dimension is the purest countercultural post-capitalism, because the ethical act is able to redeem any person or people. Buddhist Existentialism clarifies then that the Salvation of the world is closely linked to the Detachment of consumption goods and to the Reconciliation with the environment, which acts as a radicalization of consciousness for the apprentice. Every subject who works for the socialist transformation of the world, confronting the problems of war, poverty, ignorance and pollution, can achieve the ethical absolution for having been part of a carcinogen civilization inside the body of the Earth (Gaia). Thus, the teaching of the spiritual master helps to think that Socialism can solve the most terrible conflicts of the society. For the Gautama-Žižek articulation, this ethical bond formed between Socialism and analytical existential responsibility allows the apprentice to be released from the neoliberal illusions of capitalist Power, the same time that assumes the radical left position of Maitriyana, which can be defined as a revolutionary and Libertarian Spirituality. In accordance with Oscar Wilde, the Free and Enlightened Being (Arhat-Bodhisattva) disbelieves in those subjects who simply donate money to beneficence and to other organizations of social action, because the charity that lacks a revolutionary perspective does not cure anything, but rather prolongs the ill. Buddhist Existentialism asserts that non-revolutionary charity is actually part of the disease which it is supposedly trying to cure, since it maintains the capitalist status quo and impedes the radical reconstruction of civilization whereby poverty would completely alleviate. The Gautama-Žižek articulation shows that it is a fiction that capitalism and governments are put to work for the good of society, since these institutions of greed and avidity cannot resolve the problems generated by them. This is why the spiritual master points to a libertarian and non-governmental perspective, seeking the Great Awakening (Bodhi) of the peoples. The Free and Enlightened Being (Arhat-Bodhisattva), at the times it considers appropriate, contemplates the policy of the global Power in terms of materialistic economic forces, whose primary motivation is to ensure the continued dominance of capitalist interests by means of perverse geopolitical manoeuvres which create illusory enemies -such as Islamic fundamentalism– in order to victimize the major armament superpowers. This is due to capitalist imperialism, from the vision of Maitriyana, lacks any kind of ethics, being essentially a false ideology dominated by avidity, greed and violence of the international corporate interests, which are frequently supported by the ultraconservative religious sectors. By contrast, Buddhist Existentialism promotes a Commitment and Responsibility with others, especially considering the voice of those who are oppressed and alienated by the repressive ideology of materialism. The Gautama-Žižek articulation, as a radical thought, criticizes capitalism at the same time that it seeks to generate social equality and redistribution of wealth. But for the spiritual master the correct opposition to capitalist Discourse cannot arise from a mere understanding of the economy and politics, since the materialistic repression is caused by ideology, this being the reason why the Maitriyana performs an analytical existential practice tending to the Evanescence (Nirvana) of the illusions which dominate the reality vision of humanity. Therefore, the primary task of Buddhist Existentialism as Metaphilosophy is to analyze the ideology and how its bond forms the individual and social identity through language and the symbolic order. In this way, for the Gautama-Žižek articulation, it is also extremely important the movement of Psychoanalysis as an analytical existential practice capable of making conscious the grammatical rules which structure the unconscious of the apprentice. Thus, the existential meditation session with a Free and Enlightened Being (Arhat-Bodhisattva) is a social space where there is a strange combination of courtesy and friendliness with a spontaneous word and free of any taboo or cultural prohibition. For Maitriyana, the subject who questions the natural process that governs his society and his mind goes into what is called the Discourse of the apprentice. The spiritual master teaches that the entrance to the symbolic order of language is not an instinctive happening, since the subject does not possess any innate instinct, but a great essential vacuity, therefore only exist cultural pulsions which they go incorporating through the word. But language is a double edged sword according to Buddhist Existentialism, as it is something beneficial for communication at the same time it is the culprit of giving structure to the unconscious, keeping the Freedom of Being occult to the ordinary state of consciousness. The Gautama-Žižek articulation asserts the fundamental law that the meaning of existence depends on the symbolic system itself. However, through a dialectical-paradoxical logic, when the apprentice consciously recognizes this dependence he can transcend the symbolic matrix, producing itself the Cure (Nirvana) in the way that the symbolic order ruled what he said and thought by means of the authority figure of the superego. However, even the Free and Enlightened Being (Arhat-Bodhisattva) occupies a function in and for language and the symbolic order, while Awakening (Bodhi) does not imply an abandonment of the world, but rather being in it without belonging to it. Instead, the subject who has an ordinary state of consciousness, in an unconscious way cedes his essential Freedom and lets the symbolic order fully formed him, persisting in the illusion that this is a means to achieve the meaning of life and the reciprocal relationship with other pairs. The analytical existential practice of Maitriyana promotes then a plurality of meanings which seem to defy the fictional references of historical culture through the poetic language. Buddhist Existentialism teaches the apprentice that the symbolic order exists only because the subject acts as if it existed, while it is an illusion which hides the essential Vacuity of Being. The Gautama-Žižek articulation teaches that from the realm of the Real, the symbolic order is insubstantial, coming on the scene only when someone believes in it and acts according to this Imaginary order. Therefore the symbolic order is based on the lack-in-Being. The existential meditation teaches the apprentice that the ordinary subject is a mere effect of the symbolic system, so it is essential to produce the Cure (Nirvana) of this alienation. In accordance with Master Lacan, Maitriyana establishes that subjectivity is founded from the lack or absence, which is the darkest blind spot of the unconscious. The apprentice who can develop the ability to articulate and be fully aware of his dependence on the symbolic order has the possibility to reconcile with the emptiness and Nothingness which is the very centre of the True Being. Thus when the analytical existential practice of the spiritual master shows that subjectivity is an Emptiness, simultaneously teaches that the Ego is merely a fiction. Therefore as the human being is a subject of language that acts as a puppet of the prevailing Cultural Discourse, Buddhist Existentialism shows that the training in a new type of language and Discourse, -as it is performed by Psychoanalysis- produces Awakening (Bodhi) able to de-alienate the apprentice from the penetrating and unconscious force which previously dominated his life. If the symbolic order is the nature of every speaking being, directing and controlling the acts of the subject, then the Free and Enlightened Being (Arhat-Bodhisattva) teaches that Detachment is an Ethics which liberates the apprentice at the same time that it reintroduces him in another dialectical-paradoxical symbolic order, by causing the state of consciousness to evolve towards a superhuman level. In accordance with Karl Marx, the Gautama-Žižek articulation considers that capitalism is principally a symbolic order, noting that any economic system rests on a collective symbolic means whereby it is attempted to exchange or sell goods or services. Under the symbolic order of capitalist materialism, the value of merchandise loses its Real form and assumes the Symbol of Money. Therefore, according to the Maitriyana, Socialism should not be presented as a mere economic system but rather as an ethical Discourse for society and planetary civilization. The spiritual master establishes that the medium of exchange of money subordinates each object or consumption good to an illusory universal trading system which represses the possibility of differential exchanges. Just like Marx, the Gautama-Žižek articulation questions the reality of a comparative evaluation of products at the same time it affirms that there are working ways that cannot be assigned a monetary value. The Free and Enlightened Being (Arhat-Bodhisattva) recognizes the illusion of articulating every object of consumption to a universal system of monetary exchange. This illusoriness is highlighted by the difficulty of determining the value of work, time, intellect and the exerted physical energy. All these factors are fundamentally incalculable. However, when a subject can recognize the illusions of the capitalist system of exchange, this comprehension becomes liberating with respect to the submission which implies monetary exchange supported by the Symbolic Order of capitalist Discourse. For Maitriyana, the problem of materialistic activity is that it behaves as if money were the embodiment of spiritual wealth itself. Then, through existential meditation, the apprentice can understand and Awaken (Bodhi) from this unconscious submission to the illusion (Maya) that underlies the dominant social system. The subject trained by a spiritual master has the opportunity to acquire a higher and amplified state of consciousness (H-ASC) capable of reforming the proper identity of mind. In this way Buddhist Existentialism is linked to Psychoanalysis to generate a derepressive force of the moral and symbolic authority, which pathologically affects the psychism of the apprentice. The Gautama-Žižek articulation seeks to generate an ethical transformation of the laws of the society and the codes of good behaviour, helping the subject to detach from the internationalizations of the cultural rules which oppress the Sense of his True Being. The analytical existential comprehension of the Free and Enlightened Being (Arhat-Bodhisattva) is that both obey as transgress the laws and moral rules of social Discourse means accepting its reality, therefore the Maitriyana is positioned as a Way beyond good and evil. This ethical transformation implies that neither obeys nor does it transgresses the Law, since in fact the spiritual master is the very embodiment of a new type of Law much more Real and dialectic than the dualistic moral. The sense of guilt is then vanished by the existential meditation, due to this practice establishes a Sublimation of Desire (Nirodh-Kama) in pursuit of the righteousness of the Middle Way. This analytical existential attitude of the Self is presented in the best way by Compassion, which is the highest form of fidelity to the wisdom and Love, doing the right thing for the right reason. Spirituality is thus the Cure (Nirvana) of the cultural nature of humanity. For Buddhist Existentialism, the transcendence of the dominant ideas or the laws that regulate the moral behaviour of society is inherent to the Free and Enlightened Being (Arhat-Bodhisattva). This is due because this ideal of behaviour does not exist within the social Discourse, differing from the mere transgression. Therefore, no political regime can succeed by means of repression or through the disappearance of the Law, and that is why the analytical existential practice is the only way to achieve the true Freedom. The thesis of the Gautama-Žižek articulation is that culture is an oppressive force that exists inside every human being, trying to fill the Emptiness which contains everything through an endless source of representations and images that do not belong to the Self. In accordance with Hegel, the spiritual master teaches that it a glimpse of this emptiness may be perceived when looking an individual directly into the eyes. Only the apprentice who has a Commitment to the knowledge of the unconscious can penetrate into this darkness, through existential meditation to emerge as a Free and Enlightened Being (Arhat-Bodhisattva). This Way into the unknown, into the Nothing-in-Being, is the only way that a subject has to achieve a true happiness and hope. The geniality of Maitriyana is achieved in Sublimation (Nirodh) to the integral connection between the apprentice and the unconscious Self, which is shown by Buddhist Existentialism as the dialectical paradoxical logic of the suprarational ineffable and traumatic Discourse of Freedom facing the illegality of the social Law. Although the Spirituality founded by Siddhartha Gautama has a history of 2600 years, the Gautama-Žižek articulation considers that it is a postmodern work. Unlike the metaphysical and religious Discourse, which lacks an analytical existential sense, Postmodern Spirituality of Maitriyana is a work whose Purpose (Dharma) is the condensation of a transcultural or perennial historical process. Therefore, the language of the Discourse of Spiritual Master often results paradoxical, being a kind of guide for the subject in his Path through an inexhaustible network of encrypted teachings. However, this ineffability precisely works as an invitation to an endless process of apprenticeship, interpretation and existential meditation. In contrast to the metaphysical and religious Discourse, the work of Buddhist Existentialism is about the presence of the dark vacuity of the Being. For the Gautama-Žižek articulation, the teaching of the Free and Enlightened Being (Arhat-Bodhisattva) remains relevant in the contemporary world because it recognizes that behind every form of suffering in society there is a choice and an unconscious Desire which directs it. Unlike the religiosity that is positioned as a moral guardian of the people and it represses the unconscious desires of human beings, the Maitriyana is a Path to Salvation in the here and now, that is why it dispenses with any hypocritical ideology or contradictory and nonexistent belief. This is an act of ethical purification which recognizes all obscene and perverse illusions that often reaffirm the group cohesiveness by means of irrationality. Therefore, the Buddhist Existentialism has a project of total Liberation of humanity started 2600 years ago by the analytical existential revolution of Siddhartha Gautama, whose secular ethics includes the overcoming of all forms of metaphysical morality of society, which represses intrinsic Freedom of the True Being through a complete set of prohibitions associated with the idea of God. Paradoxically, the Gautama-Žižek articulation believes that the illusoriness of the existence of a moral God is the basis of all questioning from the capitalist Discourse, while the metaphysical Power like the materialist are closely concatenated. In fact, the revolutionary ideas of the Awakening (Bodhi) that characterize to Postmodern Spirituality of Maitriyana come from the perspective of the existential meditation which overcomes all social ideology to consider it as a form of perversity and authoritarianism. The central thesis of Buddhist Existentialism is that in a situation of impunity and authoritarianism, the apprentice has to produce an increase-not a decrease-of his self-determination and self-realization, psychoanalytically freeing himself from the paternal authority that unconsciously dominates the subject. The analytical existential practice ensures that the apprentice acts in a manner that is significantly higher than what is socially acceptable, which is characterized by a prehistoric and obscene authority with respect to the superhuman development of the spiritual master. In this sense, according to the Gautama-Žižek articulation, capitalist civilization is behaving like the primeval horde of the tribal unity that ruled by brute force, imposing the genital and consumerist jouissance as primary commandment of the dominant ideology. Instead, the Maitriyana promotes the spiritual self-realization as a Middle Way that transcends both the moral repression of religion as well as the permissiveness of nihilistic materialism. In the perverse world of the capitalist Discourse, therefore, the Free and Enlightened Being (Arhat-Bodhisattva) teaches that the only possibility of happiness and well being is the existential meditation, freeing the subject from the mandate of the genital and consumerist jouissance that promotes materialism. Consistent with Psychoanalysis, Buddhist Existentialism suggests that Desire does not revolve around a sexual object of genital nature, because as demonstrated by the contemporary society it is rather an unattainable spiritual experience, prohibited and absent. Thus, the spiritual master shows that what is repressed is the Spirituality itself, hiding this fact with a satisfaction of mundane longings. Undoubtedly, the social mandate of capitalist Discourse is to enjoy the superficial, which has the disadvantage of a symptom: it promotes an image of material wealth and aesthetic health as the categorical imperatives of consumerism. The apprentice then should detach from the dualistic logic of the social mandate which says that if the subject does not consume with greed it is unfortunate, since actually it is this materialistic pressure which makes life deeply unfortunate. In contemporary society under capitalist Discourse, one of the ways of the social mandate of jouissance and hedonism is centred on fidelity to the Ego, considering happiness as an individual search lacking of any kind of wisdom and compassion. According to the Gautama-Žižek articulation, true happiness is achieved through the self-realization, which is a significant state of consciousness which empties the apprentice from the social ideological tendency, producing a transformation within the Imaginary and Symbolic dimension of the subjectivity. Only a profound change in the lifestyle may become more significant to the existence, being this is the main underlying message of the Free and Enlightened Being (Arhat-Bodhisattva). Getting involved in existential meditation offers the subject the opportunity for a progressive ethical experience, since it teaches making his life more meaningful by means of the revolutionary cause of the Cure (Nirvana) of the evils in the world. Another reason by which Maitriyana holds the established equation between happiness, the analytical self-realization and the existential Awakening (Bodhi), is due that this lifestyle produces a sense of Purpose (Dharma) on society. Taking the Discourse of the Spiritual Master as a prototype, Buddhist Existentialism looms the future, perceiving a redefinition of what humanity is. The Gautama-Žižek articulation establishes that the essential problem of the modern world lies not only in the ills of war, poverty, ignorance and pollution, but rather on how to free from the mandate of the capitalist Discourse. The Free and Enlightened Being (Arhat-Bodhisattva) teaches that only insofar that the apprentice is prepared analytically and existentially to renounce his attachment to any kind of ideal or opposite pole is able to confront the fact that the symbolic order or social Discourse of Power is a fiction through which neurotic identity is maintained. In accordance with Mark Rothko, the Maitriyana considers that painting a simple square or a black circle onto a white background refers to the confrontation with the fictional status of the subject himself, as this is a symbol of the traumatic emptiness which is the repressed unconscious. Only through a profound existential meditation this emptiness that underlies the representation can be known or directly addressed. In fact, the white background symbolizes the open space of the Freedom of Being in which the Real can appear under the form of a new symbolic order or Discourse. According to the Buddhist Existentialism, all artworks of the spiritual master are manifestations of a struggle to save the symbol of the central square or black circle with respect to the overflow of the entire surrounding field. However, if the symbol occupies the entire field, losing the difference between the figure and its background, it produces autism in the psychism. That is why the Free and Enlightened Being (Arhat-Bodhisattva) develops an aesthetic of the gray, representing the dialectical synthesis between the white background and the central black point in an attempt to unequivocal redemption. The Gautama-Žižek articulation affirms that attempting to gain the analytical existential access to the emptiness which is the unconscious, ultimately, means completely emptying the dualistic language and the imaginary representation that the apprentice has with respect to the reality. This method of existential meditation produces a psychic collapse of the Ego, at the same time that opens the subject to the possibility of being imbued with a new poetic language and a dialectical paradoxical logic. The conclusion of Maitriyana is that the mind needs some kind of system of symbolic order, in order to organize the reality, because without a Discourse the apprentice simply ceases to exist. For Buddhist Existentialism, the reality perception of the subject is structured by the fiction or Phantom (Maya), so if these symbolic fictions that regulate the unconscious psyche are removed or fade, the sense of reality itself is lost, which opens to the possibility to consciously choose a new vision of the Real and a higher psychic structure: the Sublimation (Nirodh). This evanescence of the fictional along with the aperture to a wisdom of Truth is the Cure (Nirvana). Therefore, the Gautama-Žižek articulation acknowledges that the apprentice can recognize his own fictional status within the world, which is the Purpose (Dharma) of the psychoanalytic treatment. Consistent with Psychoanalysis, the spiritual master asserts that Awakening (Bodhi) effectively happens when the subject assumes with Freedom and Responsibility his own non-existence. Therefore, just like Psychoanalysis, the Maitriyana roundly differs from subjective solipsism which asserts that self-existence is the only verifiable reality. Unlike Descartes, Buddhist Existentialism affirms I do not-think therefore I exist. Facing metaphysical questions about reality and existence, the maximum of Gautama-Žižek articulation attempts to preserve the non-existence of the mind, posing that there is an unconscious that makes it impossible for the Ego to correctly think about reality. In contrast with the idea of academic philosophy which asserts that the Ego can be absolutely sure of the ideas the mind itself, while the external reality is something alien, Maitriyana coincides with Psychoanalysis in his assertion that the inner reality does not exist. When the apprentice recognizes the fictional structure of unitary identity, the analytical existential practice breaks down the domain of the Ego. In the Discourse of Spirituality this process is represented by a sliding from the position of ordinary subject to that of the Emptiness, which is the end of contemplative treatment of Psychoanalysis, where the apprentice is excluded or detached from the fiction that sustains both the Ego and social Discourse. By sliding from the centre of gravity of the Ego towards the True Being, the impulses are sublimated by the experience of emptiness, therefore the subject returns to the Self, thus becoming superfluous to the presence of the fictional. According to the Buddhist Existentialism, this process of perception of the own fictional status (Maya) involves a recognition that the own subjectivity is entirely based on Nothingness; this Empty-in-Being is perpetually filled and hidden by the fiction and the illusoriness of language. Therefore, in accordance with Psychoanalysis, the Gautama-Žižek articulation affirms that the object of Desire simultaneously is the pure emptiness around which the subject is based, being an imaginary element that hides the impossibility of completeness of mind. Just like Lacan, the Maitriyana postulates the notion that existential meditation can directly perceive the fictional status of language that structures the subjectivity. However, this access or direct capture of the illusoriness of language and of the emptiness which underlies everything is practically an impossibility for anyone who is in an ordinary state of consciousness (OSC). In this way, only a Free and Enlightened Being (Arhat-Bodhisattva) can overcome this traumatic experience of Nothingness without falling into madness or suicide. This perception of the fictional nature of language can only be achieved through an analytical existential practice which crosses the psychic reality, the symbolic order and the social Discourse, in order to arrive at the other side of the curved space of the Real. The recognition of the True Being happens when the apprentice resigns or becomes detached from the misleading idea that language or representation are means to access the meaning of life. According to the Buddhist Existentialism, the Desire of meaning is a black hole inside the Being, being a condition of endless postponement organized by the language itself. The Gautama-Žižek articulation pivots with Psychoanalysis about the fact that the object of the Desire is an inaccessible or impossible to perform experience, showing that it is an illusion because it tends to Nothingness. The spiritual master then teaches that the impossibility of complete satisfaction of Desire reveals how human nature is an emptiness of meaning or Purpose, so the subject must construct his own Way, understanding at all times that he is essentially Free. For Maitriyana, any action or practical decision that implicitly recognizes that the symbolic order is a fiction goes within the category of transpersonal ethics, which surpasses morality and is constituted as the authentic form of ethics. Transpersonal ethics of the Free and Enlightened Being (Arhat-Bodhisattva) transcends the ordinary coordinates of the symbolic order as they stand controlled by the social Discourse of Power. Buddhist Existentialism defines transpersonal ethics as the ratio of fidelity of the apprentice to his own Desire, at the same time clarifying that spiritual ethics is above any moral or mundane law, because it is fulfilled even in the knowledge that one can be punished by social Discourse. The spiritual master is an insubordinate with respect to the oppression of the cultural system, so each act or fact that emanates from his higher and amplified state of consciousness (H-ASC) is profoundly liberating. A transpersonal ethics act can take on the appearance of a rebellious rejection to the capitalist system and its dismantling of social welfare, therefore the Free and Enlightened Beings (Arhats-Bodhisattvas) usually advise not to trust the politicians when searching leaders who handle the world crises, such as war, poverty, ignorance and pollution. In fact, according to the Gautama-Žižek articulation, politicians deepen planetary crises by managing the governments in line with spurious capitalist interests. Facing political and economic crises like these, the Maitriyana conjectured that the correct action would be to stop dialogue with capitalist politicians; therefore the apprentice is willing to self-sacrifice to declare that he will not listen to oppressive system fictions. Thus, the Buddhist Existentialism concludes that sometimes superfluous dialogue is not suitable for situations of conflict, although this is considered as essential to capitalist progress. According to Gautama-Žižek articulation, the struggle for the liberation from materialistic oppression is necessarily a painful process, as it often requires the self-sacrifice of the apprentice and even of the spiritual master. The Maitriyana emphasizes that their idea of a libertarian ethics is not a matter of debauchery, by satisfying their own personal fantasies, but rather it is the transcendence of both hedonism and repression. Such an ethics inclines the subject towards the Desire of Being, which is an existential choice which goes beyond any mundane benefit. The conduct of the Free and Enlightened Being (Arhat-Bodhisattva) is authentically ethical because he follows his Way until the end even if it means his own death. Psychoanalysis provides a model for the ideas of Buddhist Existentialism about transpersonal ethics, and at the same time that is applied to individual acts of the apprentice in his pursuit of a better world. The Purpose (Dharma) of a libertarian ethics is also at stake in the collective actions of revolutionary nature. In this respect, the Gautama-Žižek articulation is especially interested in the events that may trigger into a coming dharmic socialist revolution. With regard to the dharmic socialist revolution, the Maitriyana extends the application of ethics -as fidelity to the Desire of Being- to the social field, extending the actuate of the existential meditation to what is libertarian, which implies that all process of Cure (Nirvana) should evanesce both neurotic attachment as capitalist greed. Much so that Awakening (Bodhi) is the true revolution. The proclaimed objective of the spiritual master is to return to the Truth the Purpose (Dharma) of Freedom, which is a Way that cannot even be interrupted by punishment or death. The analytical existential practice allows overcoming any type of terror through a higher order justice, by emanating some idea of virtue which is a consequence of the general principle of Spirituality applied to the most pressing needs of society. Unlike certain materialistic movements, Buddhist Existentialism seeks a revolution devoid from excesses in that the oppression and democracy usually coincide, being a pacifist revolution respecting the socialist libertarian rules, by subordinating to the norms of Liberation and the Cure (Nirvana), a revolution in which violence is stripped of its everyday dimension and is reduced to a prehistoric intervention within the human plane. The divine dimension from revolutionary pacifism does not refer to a metaphysical dimension, as the intervention of a supernatural deity producing revenge on the oppressors, since the Gautama-Žižek articulation perceived it as the heroic assumption of the solitude of a sovereign decision. Self-sacrifice, as a revolutionary ethics of pacifism, is a decision to risk losing the own life that is taken in absolute solitude and is not influenced by social morality Discourse of Power. The existential meditation is a revolutionary event in which justice and peace may coincide at a same point. Undoubtedly, the Truth is a revolutionary power, producing a poignant force on humanity, because its message resonates in both pure hearts as in guilty consciences. In accordance with Nietzsche, the Maitriyana is beyond good and evil, asserting that its libertarian pacifism transcends any predetermined form of morality or laws; therefore it is a truly revolutionary metapolitics. In a spiritual revolution the only state or law from which to measure their criteria is the utopian vision of the Free and Enlightened Being (Arhat-Bodhisattva), so the subject must detach himself from all previous concepts of good and evil. This ideological emptying allows the apprentice to understand that the power of the State as such is essentially illegitimate. Buddhist Existentialism believes that this idea of an ethics which overcomes of good and evil is one of the truly revolutionary teachings of the spiritual master. The articulation Gautama-Žižek observed that the real challenge of the pseudo revolutions that took place during the story was not taking Power, but rather what to do next, because they never achieved peaceably preserving the revolutionary event. The Free and Enlightened Being (Arhat-Bodhisattva) shows then that should change existing power relations in the world but in a peaceful manner, while the values of Peace and Freedom cannot be imposed, as this always leads to a failed attempt at revolution. 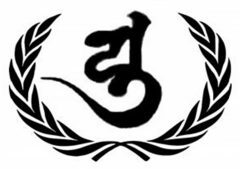 Only the Awakening (Bodhi) of people can destroy the existing capitalist methods in the organization of work and fundamental relations of society in general without any need for resorting to violence to change the basic social infrastructure. The Maitriyana recognizes that the radical political project of Libertarian Socialism has many traces in the original revolutionary Spirituality of Siddhartha Gautama. Thus the Buddhist Existentialism revalues the aspects of libertarian socialist politics that lead directly to the Cure (Nirvana) of the ills of the world. An example of this is that the spiritual master clearly understands the revolutionary idea of staying faithful to the Desire of Being, which is the evanescence of the values of materialism, such as weakness, leisure and stupidity. If a subject is spiritually strong, socially active and deeply wise, then he is a good apprentice of revolutionary pacifism. According to the Gautama-Žižek articulation, these traits summarize the transpersonal ethics. As a model of a contemporary political event which puts in act the revolutionary pacifism of the transpersonal ethics, the Maitriyana refers to the self-sacrifices carried out by practitioners of Spirituality when their countries began to be invaded by the terror of war. Buddhist Existentialism stresses the overcoming of violence towards others as the Way to the real transformation of society. According to the Free and Enlightened Being (Arhat-Bodhisattva), the task of the revolutionary subject is self-sacrifice himself in pursuit of a Purpose (Dharma) of higher order, avoiding the use of the mere violence of the impulsive actuation by impotence. While the political movements urge the armed uprising or lynching as a way of engaging with what is the revolutionary, the Gautama-Žižek articulation then recognizes that the radical gesture is to do nothing, because the gestures of violence become redundant to the materialistic social Discourse. The Discourse of the Spiritual Master strongly disagrees with the argument that to transform the world it is necessary to resort to violence, which is the main tool of social Discourse that the apprentice aims to change. Consistent with Psychoanalysis, the maxim of the Free and Enlightened Being (Arhat-Bodhisattva) about the ethics of Maitriyana -not doing concessions with the own greed and thirst for domain- means not allowing the analytical existential practice to yield to the pressure of society, renouncing the social mandates of materialism. The only concession which the apprentice should make is to be responsible for following the proper Desire to Liberation. Such a sublimatory concession is the way in which the Self happens as a new centre of the conscience, displacing the Ego until the last moment of life. In accordance with Kant and Lacan, Buddhist Existentialism considers that the categorical imperative is to follow the Desire of Being and be detached from social Discourse, as this transpersonal ethics lies in the unconditional mandate of the subject to fulfil his duty or Purpose (Dharma). Thus, the Gautama-Žižek articulation clarifies that what the apprentice desires is his duty, since the mind essentially is pure Freedom. The spiritual master teaches that the subject should assume responsibility for the mandate or the duty of his own unconscious Desire, de-identify himself of what is the duty according to Social Discourse. The apprentice who practices existential meditation does not resort to excuses to avoid his own responsibility of being-free-in-the-world. The Maitriyana response against the defence mechanisms of the Ego which usually press the Awakening (Bodhi) of Being is that there are no excuses for not performing the own duty or Purpose (Dharma). In this sense, Buddhist Existentialism remembers that the best example of this is the life of the Free and Enlightened Being (Arhat-Bodhisattva), who is a loving and firm spiritual master that transmits to his disciples a liberating wisdom and a compassionate discipline which is never an excuse for him or for the others. The Gautama-Žižek articulation shows that, ultimately, the subject is completely responsible not only for doing his duty but also for determining what his Purpose (Dharma) is. That is why no crime which is committed in the name of duty can be adjudicated to the social Discourse of Power, as the human being is essentially free and responsible for his Path, being able to challenge at any moment to both family and social authorities. The Cure (Nirvana) is precisely an awareness of this structural condition that was always present throughout the entire life of the apprentice. The analytical existential practice of Maitriyana is then a Way to take responsibility both for the own duty and responsibility for what is the Purpose (Dharma). Therefore, the subject can always avoid doing evil and choose not to comply with the mandate of the social Discourse. Consistent with Psychoanalysis, Buddhist Existentialism asserts that the apprentice is responsible even for his own unconscious aspect, which is the plane where the Desire is situated. The arguments of the articulation Gautama-Žižek about Purpose (Dharma) are that the subject should assume the responsibility for his actions, understanding that social Discourse of Power is a great fantasy (Maya). For such reason the Maitriyana poses a libertarian ethics as a model to act in the here and now. In accordance with the Book of Job, Buddhist Existentialism argues that realizing that there is no benevolent and omnipotent God is something liberating because questioning the Purpose itself of the creation of Cosmos is a metaphilosophical paradox (koan) about the Detachment and Responsibility for the own life and the inevitability of suffering. The Free and Enlightened Being (Arhat-Bodhisattva) fully understands that the refusal of the figure of God to explain his occult designs not only supports the mystical conception that the Purpose (Dharma) of divinity requires a superhuman comprehension or existential meditation, but also has the surprising consequence that the figure of God implies a Universe of suffering and even meaninglessness. Thus, for the Gautama-Žižek articulation, the figure of God becomes almost like a Great Emptiness in the end of the analytical meditative practice. The spiritual master then asserts that the traditional figure of God contradicts all rational logical argument, so the apprentice has to use a dialectical-paradoxical logic to extract some meaning from the abyss and the essential strangeness of the Universe, which responds with a sign of exclamation to the idea of suffering to each question sign about the world that the subject makes. Thus, the Free and Enlightened Being (Arhat-Bodhisattva) usually behaves in the same mode as the figure of God when it is questioned about the purpose of the creation of Cosmos, redoubling the enigma to replace it with another much more radical and chaotic. Consequently, the Maitriyana reveals that the story of the Crucifixion of Jesus implies the death of the metaphysical idea of God as the ultimate guarantee of meaning and as omnipotent Owner of the Universe. Buddhist Existentialism, before this traumatic fact, shows that humanity is completely free to choose not only their duty but also what the very meaning of the Cosmos is. The Gautama- Žižek articulation asserts that without the idea of God or any figure of the social Discourse which satisfies the sense of an individual and social identity, reality itself becomes imperfect, impermanent and incomplete. The existential meditation makes possible a vision of reality as ontologically empty and unfinished, which positions the Maitriyana on the same line as one of the biggest concerns of contemporary physics. The spiritual master, like the best vanguard scientists, asserts that reality is essentially uncertain, so it is impossible to have a completeness in the field of knowledge of the deeper levels of matter. A clear example of this is the impossibility of simultaneously knowing the spatial and temporal aspect of the most basic particles of the Cosmos. Unlike the materialistic science and its search for a complete description of reality, Buddhist Existentialism approximates to quantum theory and affirms that insufficiency in knowledge of quantum reality is due to that reality itself is ontologically empty and incomplete. In accordance with Emerson, Gautama-Žižek articulation points out that reality is incomplete because this allows the creation, evolution, expansion and freedom. The Maitriyana considers this idea of the Emptiness of reality, as profoundly liberating of the mind of the apprentice, as before the absence of a complete and substantial reality, the illusion of Ego also collapses. In analytical existential practice there is nothing definite in the reality which helps to substantiate the coordinates of an Ego, therefore all that remains is a subject confronting the fiction (Maya) which is in the centre itself of the social Discourse or symbolic order. By fading the sense of unified identity of the Ego, the idea of an empty and incomplete reality opens a space to the Awakening (Bodhi) and the Liberation of the Self. Cure (Nirvana) and Freedom only may occur in an ontologically empty and unfinished reality. S. Zizek, Less Than Nothing. J. Lacan, Formations of the Unconscious. I. Parker, Lacanian Social Theory and Clinical Practice. Slavoj Zizek, The Puppet and the Dwarf – The Perverse Core of Christianity. S. Zizek, Against the double blackmail. S. Zizek, Multiculturalism or the Cultural Logic of Multinational Capitalism. Slavoj Zizek, The Sublime Object of Ideology. Slavoj Zizek. The Buddhist Ethic and The Spirit of Global Capitalism. Slavoj Zizek & Boris Gunjevic, God in Pain: Inversions of Apocalypse. S. Zizek, Why we all love to hate Haider. S. Zizek, Because they do not know what they do. S. Zizek, The spiny subject: the absent center of political ontology. S. Zizek, Against human rights. S. Zizek, Why the Idea and Why Communism? Oscar Wilde, The human soul under socialism.